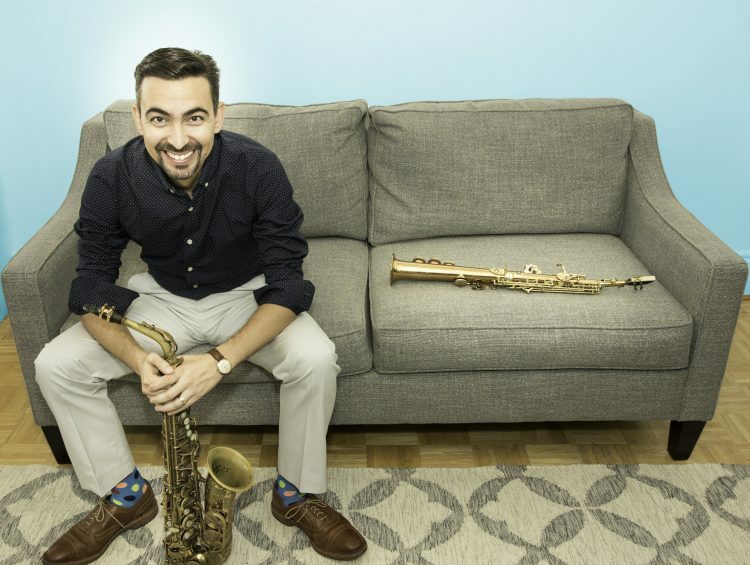 Hashem Assadullahi is a saxophonist, bandleader and music educator in New York City. Hashem has performed music ranging from the big band repertoire of the swing era, to straight-ahead styles, to contemporary projects performing the works of Ornette Coleman, The Art Ensemble of Chicago, John Zorn, and Tim Berne. In 2008 Hashem formed his Quintet, featuring some of the best musicians in the Pacific Northwest, along with trumpet icon Ron Miles. The group has since expanded to a sextet and has recorded two albums: Strange Neighbor (8bells, 014) and Pieces (OA2 records, pending release). Hashem has lead groups featuring some the world’s greatest talents in Jazz, including Alan Ferber, Ben Monder, Mark Ferber, and Rich Perry. In addition to his own releases, he has had the opportunity to record with several ensembles, appearing on the albums Live at Jo Fed’s with the Poisonous Birds (June 2008), The Turning Point with the Douglas Detrick Quintet (8bells, 015), as well as Walking Across (8bells,016), Rivers Music (Origin Classical, OC33012), Awake, Awake (pending release), and The Bright and Rushing World (pending release) with the Anywhen Ensemble. In addition to performing, he has held positions teaching music courses and directing numerous ensembles at various institutions including Mahidol University in Salaya, Thailand, Lane Community College, and the University of Oregon. Hashem frequently serves as a clinician and adjudicator across the United States and abroad. Hashem received his Bachelors of Music Education from the University of Texas in Arlington and a Masters of Music in Jazz Studies from the University of Oregon.